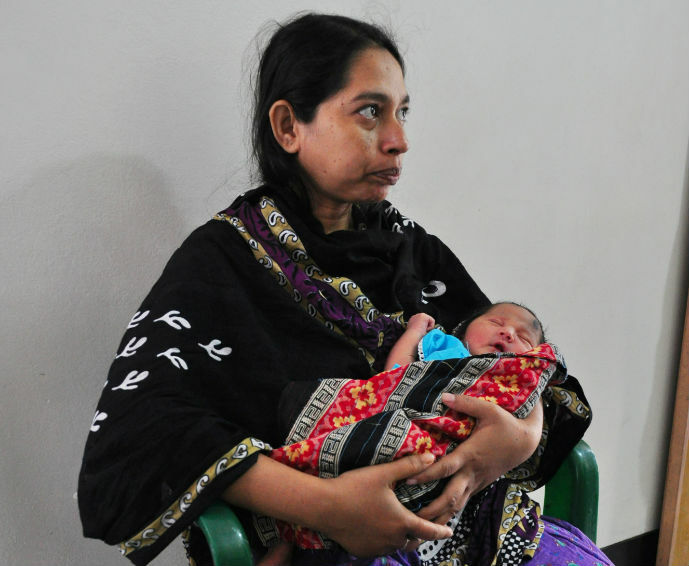 At the Smiling Sun Clinic in Tongi, Bangladesh, Fatima happily holds her healthy newborn baby, delivered in the facility a short while ago. Fatima chose to deliver in the facility to ensure a healthy outcome, for her first pregnancy had ended in tragedy. Each year, over 130 million babies are born into the world. For a mother, pregnancy is a time of excitement, and the birth of a baby is a time of joy. Yet, for millions of others, pregnancy can end in tragedy. Each year, nearly 3 million children die in their first month of life, and an additional 2.6 million women suffer a stillbirth. Fatima was one of them. 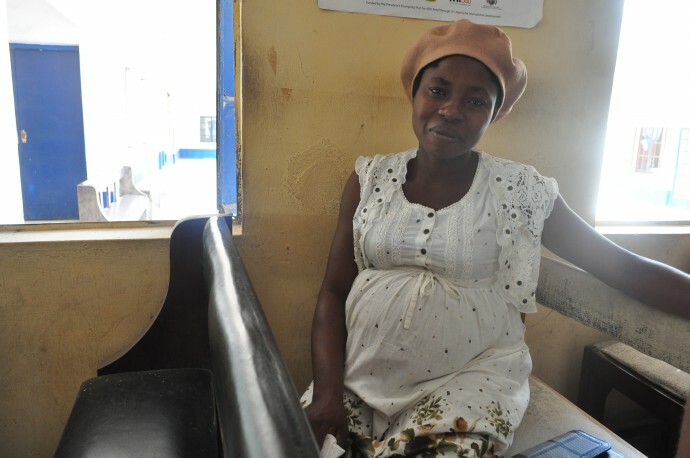 Through the support of USAID, she was able to access the care and services she needed to ensure that her next pregnancy had a happier ending: a safe pregnancy, a successful delivery and a healthy baby. At USAID, we are committed to saving the lives of mothers and children. Our vision is to end preventable child and maternal deaths within one generation. Our efforts to achieve this vision are also helping address the tragedy of preventable stillbirths. In a new Lancet series of papers on stillbirths published today, more than 200 researchers, investigators and advisors — including myself and my USAID colleague Donna Vivio — have collaborated to report on the problem of stillbirths worldwide. Unavoidable stillbirths, which are caused by congenital abnormalities, account for only 7.4 percent of all stillbirths in the world. The rest are largely preventable. In fact, nearly half of all stillbirths — 1.3 million each year — occur during labor and delivery. The hours and days surrounding childbirth are the times when women and babies are most vulnerable, and high-quality care at these times has the greatest potential to reduce maternal and newborn mortality and stillbirths. Another way to reduce these unnecessary deaths is through family planning. Empowering and educating women and girls helps families choose the number, timing and spacing of their pregnancies, translating into improved birth outcomes for both mothers and their babies. In fact, quality care for pregnant women before and during childbirth — coupled with optimally-timed pregnancies — would prevent most stillbirths, as well as most preventable maternal and newborn deaths. During pregnancy, adequate nutrition and quality prenatal care, including treatment for maternal infections, keep women healthy and increase the likelihood of a healthy newborn. These measures have also been shown to improve child development outcomes, thereby yielding a quadruple return on investment. 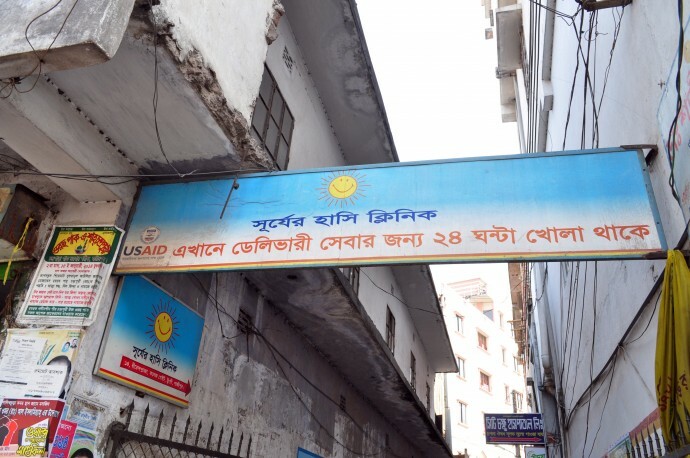 In Bangladesh, USAID works to provide these vital services to the most vulnerable populations of women and children. We support a network of Smiling Sun Clinics that are active throughout the country. The Smiling Sun Clinic in Tongi serves a population of some 94,000 individuals, providing prenatal and postnatal care, immunizations, and family planning services. Now in its 19th year of operation, the clinic provides services free of charge to the poorest of the poor through funds paid by other clients, ensuring the clinic’s sustainability. And it was this clinic in Tongi that changed Fatima’s life. After losing her first child, Fatima resolved to seek care from the Smiling Sun Clinic during her next pregnancy. She delivered in the facility, open 24 hours a day for delivery services, in the presence of skilled birth attendants. Fatima’s story had a happy ending, and her baby was delivered safe and healthy. We believe all women should have that chance. Pregnancy and motherhood ought to be a time for celebration rather than for mourning. We have set ambitious targets to save the lives of babies, children and mothers worldwide, and we are confident that, with the support of strong global and local communities, we will be able to achieve them. Katie Taylor is the deputy child and maternal survival coordinator at USAID and the deputy assistant administrator for the Bureau for Global Health.